The Flexsoles BOATER Lace Up boat shoe for men will compliment any casual outfit all while providing exceptional cushioning and stability to minimize foot fatigue and pain.Now there are even more reasons to love this comfort casual shoe. 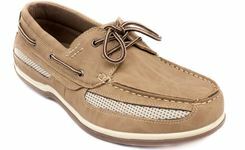 Very easy to get on and off, lace-up BOATER boat shoe is incredibly popular, as the laces also add a bit of decoration to the boat shoes. 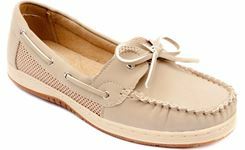 Flexsoles BOATER combines classic comfort and enduring style for a timeless look that works season after season, year after year. Flexsoles CRUISER style is a fun, modern twist on the classic boat shoe. 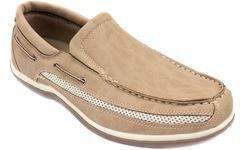 CRUISER Slip On boat shoes have no laces or other means of closure, therefore, they have a well-placed elastic goring for an optimal fit, and easy slip on and off design. will compliment any casual outfit all while providing exceptional cushioning and stability to minimize foot fatigue and pain. Stay cool like the ocean breeze with these beautiful stylish sandals! The women’s BREEZE Sling back sandals are casually cool shoes that are easy to wear on your weekend travels. For the gal on the go looking for weekend comfort, the women’s BREEZE Sandals are the perfect stylish sandals. The women’s BREEZE Sling back sandals are casually cool shoes that are easy to wear on your weekend travels. For the gal on the go looking for weekend comfort, the women’s BREEZE Sandals are the perfect stylish sandals. 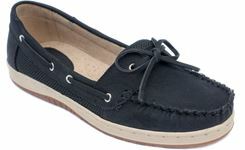 Casual comfort Women’s TIDE boat shoe is perfect for casual strolls. Classic and stylish, the TIDE boat shoe features naturally soft materials that are light and breathable. Cooling vents help maintain dry foot environment and help prevent blisters by keeping your foot from sliding across the surface of the insole.